With the sun finally showing his face and summer fast approaching, it's important to stock up on products that are going to benefit and protect your skin throughout the warmer months. Did you know that 80% of people don't apply suncream before going out into the sun? That's a lot of people, and a lot of damage. As Sun Awareness Week has just passed us (it was May 9th-15th), Holland & Barrett kindly sent me a Get Ready For Summer pack which included lots of skin nourishing and protecting goodies - and here's why they should make it into your next shopping list too. It goes without saying that wearing suncream when your skin is exposed to the sun is so so important. UV rays that the sun radiates can be very dangerous for your skin - not only are they linked with wrinkling, leathering and ageing of your skin, they also increase your risk of skin cancer. Even when it's cloudy outside, that doesn't mean that the sun's UV rays are not reaching your skin; you're still exposed to up to 40% of the radiation! So investing in a good, protecting suncream is very important. 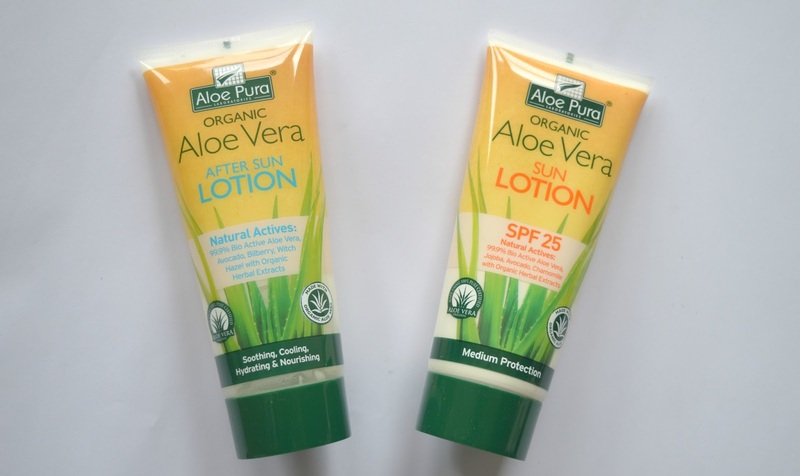 Holland & Barrett's Aloe Vera sun lotion is produced from natural plant extracts, vitamins and organic aloe vera, meaning it doesn't just protect your skin from harmful rays, it soothes and hydrates too. After a day of exposing your skin to the sun, it is also important to use an aftersun lotion. If your skin has been exposed to UV rays then it has effectively been damaged, meaning that, like anything, it needs help to repair and rejuvenate itself. Applying aftersun lotion after sun exposure helps to cool and hydrate your skin (providing almost instant relief from sunburn) while moisturising and preventing your skin from peeling or flaking. Holland & Barrett's Aloe Vera After Sun Lotion is, again, packed with natural ingredients, such as avocado, lavender and aloe vera gel - designed to naturally soothe and aid your skin after sun exposure. 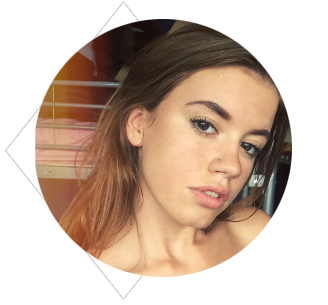 Following on from everything that has been mentioned above, instead of lying in damaging UV rays all day in an attempt to turn brown, fake it 'til you make it! I was sent three products from the Dr Organic tanning range, all of which are amazing. I've been very apprehensive when using self-tan in the past as it can look very unnatural and patchy (one of my biggest fears), however these three products show that it is worth investing a little extra into self-tanning to achieve the best effect. Following perhaps one of the most important rules regarding fake tanning, the Pre-Tan Exfoliator Body Polish uses micro-particles of pure volcanic lava to smooth and exfoliate your skin in preparation for your tan. The Moroccan Glow Medium Self Tan Mousse is, again, made with natural and organic ingredients such as aloe vera leaf juice, argan kernel oil and roselle flower extract. It applies smoothly and easily, and as it is slightly bronze when first applied to the skin, you can achieve instant streak free results! Much easier and healthier than frying your skin in the sun all day. And don't fear - with the Tan Extender Body Lotion you can keep your tan for longer. Natural ingredients in this body lotion help to moisturise and soothe the skin, giving your tan an all-over boost and helping to pro-long that sun-kissed look. And, naturally, all three of these products smell amazing. One thing that almost everyone (including myself) forgets to protect when in the sun is their lips. It is possible to burn your lips, and when you do it can be extremely painful. Using a lip balm that contains SPF will protect, moisturise and hydrate your lips, helping to avoid them burning or drying out. Did you know that wearing lipgloss actually absorbs sunlight and increases the risk of burning your lips?! 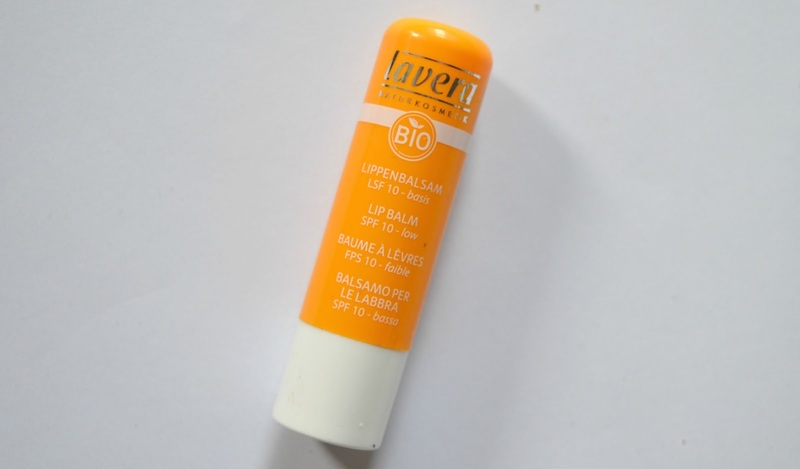 Holland & Barrett's Lavera Sun Lip Balm is water resistant, providing intense care for your lips at all times. If you've ever been bitten while on holiday, you're going to love this product. I didn't actually know about it until I received it in my Get Ready For Summer pack, but it came in super handy on a recent trip to Italy! 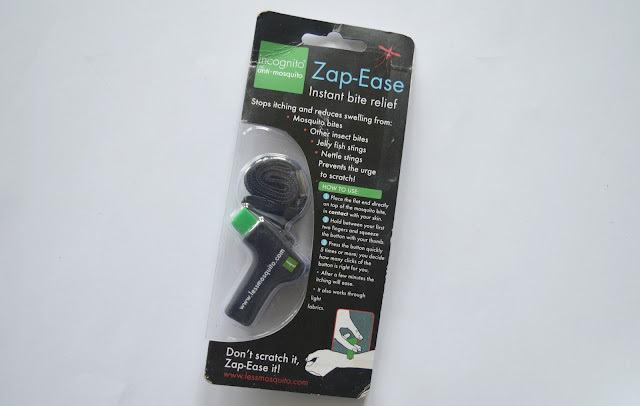 The Zap-Ease provides instant relief from mosquito and other insect bites, jelly fish and nettle stings. All you have to do is literally zap your bite (by pressing a button) and after a few minutes the itching will stop and the swelling reduces. If you're out and about and travelling lots over summer or visiting hot countries where it's likely you'll be bitten, Zap-Ease is perfect to pop in your bag and provide instant relief. Another way to enhance your tan without frying your skin for hours is by using Tan Tablets - something that I'd, again, never heard of until they landed on my doorstep. 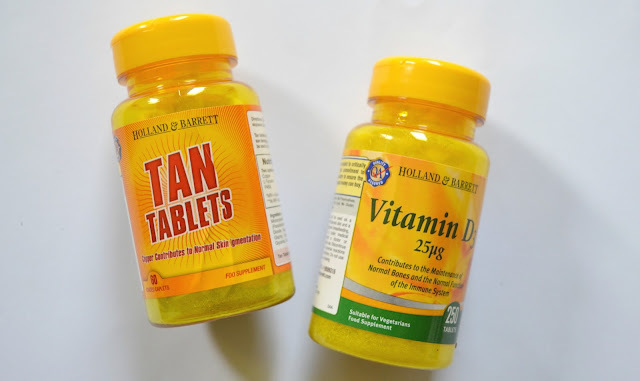 Holland & Barrett's Tan Tablets use copper to contribute to your normal skin pigmentation, helping you to tan darker. It is important to remember, however, that these do not prevent sunburn or damage and therefore a suncream should always be used with them. I'm super excited to put all of these products properly to the test over the next few summer months, and advise you all to pop over the the Holland & Barrett website and stock up on some skin protecting goodies for yourselves. Happy Summer! I love anything with Aloe Vera in - so soothing! I'm glad to see this post with a comprehensive list of products we can use as I'm not sure people realise the high incidence of melanomas and how bad prognosis can be. I'm not too sure about this copper-based Tan tablet. Summer is nearly here, and if you haven't done so already, you will soon be trading your tennis shoes for some cute summer sandals. Before you can expose your toes for the entire world to see, you should first get those toes ready for summer with these easy tips. Although winter may still be the season, it is never too soon to start gearing up for spring and summer. Such seasons mean grilling fun and everyone would agree that these months are also the prefect time for gatherings.